Franchisors in Australia have been warned to prepare for the introduction of new laws that will make them responsible for employee underpayments made by franchisees. 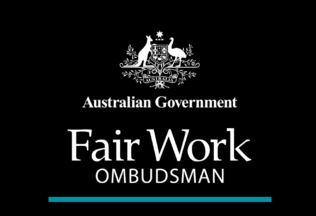 Speaking at the National Franchising Conference on the Gold Coast, Fair Work Ombudsman, Natalie James, said the new laws come into place in three weeks and set clear expectations that a franchise needs to consider how they can prevent exploitation of workers in its network. “Franchisors should be asking themselves, what steps do they need to take to ensure the businesses within their network are paying workers correctly,” James said. Under the new laws, serious contraventions will see businesses penalised up to $630, 000 and individuals $126, 000 per contravention. Ms James however said that while the new penalties are welcome, the preference is to see no breaches occur in the first place. “We recognise that investing proactively in compliance has a cost for a franchisor but it should be seen as an investment to protect your brand and reputation as well as the wellbeing of the workers who support and build the brand,” Ms James said. Ms James said the new laws reflected the community’s concerns about deliberate exploitation of vulnerable workers. “We will apply the new laws judiciously and fairly but we will not hesitate to use them to the fullest extent to protect vulnerable workers, I encourage franchisors to be proactive in taking steps to promote compliance in their networks,” James said. Try as they might, Australia’s fast food outlets have not been retaining their visitation rates. Kellogg’s says it has surpassed its goals for reducing sugar and sodium its cereals worldwide. The Australian Open has attracted criticism for selling bottle water imported from China.